It's time for the last block of the year for the Stash Bee! Cheri requested these fun Christmas candy cane blocks! I was able to make a dent in my green scraps which is always good in my book. We also had a wonderful Thanksgiving with my family. When my family isn't going to be together for Christmas we celebrate "Thanksmas" on Thanksgiving. 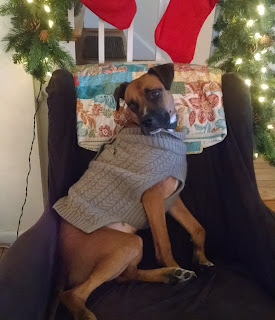 So we put our trees up early and exchange presents between Thanksgiving dinner and dessert. It's a fun thing and means that I have to get all of my shopping done early! My #thanksmas present from my sister and her husband! YAY!!! Sharing at Sew Cute Tuesday and Let's Bee Social! I have finally finished all of my scrappy Farmer's Wife blocks as part of the Rainbow Scrap Challenge for 2016! I breathed a big sigh of relief upon finishing that last block -- it is so good to have all of them done! I am going to say that I will not be doing another round of 6 inch blocks next year for the Rainbow Scrap Challenge right now! Today I'm sharing not one, but two finished quilts! Say hello (and goodbye) to my Little Firecrackers, which I have affectionately calling Primary and Secondary based on their color schemes. You can click here to see all of the posts on these quilts, but in short, I am making these quilts for the college girls I volunteer with who are both leaving their offices at the end of this semester! First up: Primary. This fabric pull centered around the primary colors, obviously, but I believe my starting fabric is the yellow background fabric with red roses (I believe it is Lecien). All of these are strip pieced from jelly roll sized strips that I had in my stash. I made 7 strip sets to cut the 100 wedges for this quilt. You can check out the Firecrackers pattern at the Fat Quarter Shop and the ruler I used is here. (Not affiliate links!) The only difference is that I used 4 strips for my strip sets instead of 5 and I cut my blocks a half an inch smaller than in the pattern. I was able to stretch my fabric much further this way! 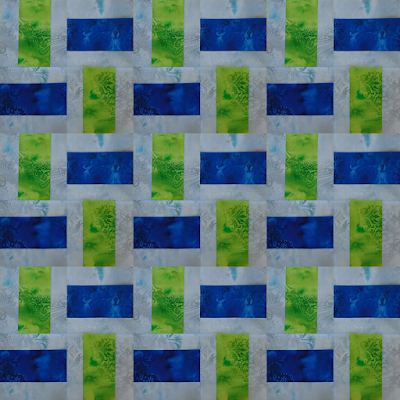 For the quilting on the primary quilt I used a branching curly cue pattern with lots of backstitching to give it a branching effect rather than a chained effect. 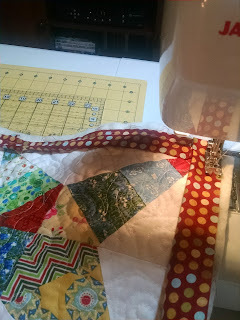 While the quilting is not terribly dense, the backstitching does require quite a lot of thread! For the backing I used a 3 yard cut of a flourish strip pattern in navy and green that had been hanging out in my stash for a very, very long time. I had to add a chunk of an old Denyse Schmidt print to avoid overly piecing the back. The binding is a darker red polka dot print with white, tan, and light blue dots. Next up: Secondary! This one is based around another yellow floral print, but this one had different tones of greens (olives rather than grassy greens, as well as pinks and oranges. I also pulled in some periwinkle and aqua. I did end up using a few different white/off white fabrics in this one, but they are not as different as this picture might suggest. This is the downside of only having 30 minutes of daylight after I come home from work! For this quilt I used a meander with little five petaled flowers along the meanders. This one took much less time since it had almost no backstitching! For the backing on this one, I used a two yard cut of the purple scroll print and the leftover large pieces from the backing of my Starburst quilt. I also used the blue print as the binding. Despite it being a very large scale print, I think the binding isn't dominated by any one color -- with the fabric's pattern, no one section is really sticks out on the binding -- just a great blending of all of the colors and patterns! I am so happy to have these done and to give them to my girls very soon! Sharing at Finish it Up Friday! Don't forget to enter my Dreamscape giveaway! Dreamscape Blog Hop and Giveaway! I am excited to be back today at Sew In Love With Fabric as a part of their Dreamscape Blog Hop! This fabric line is a fun set of not-quite-prints/not-quite-blenders with the great variations in color and flourish prints. 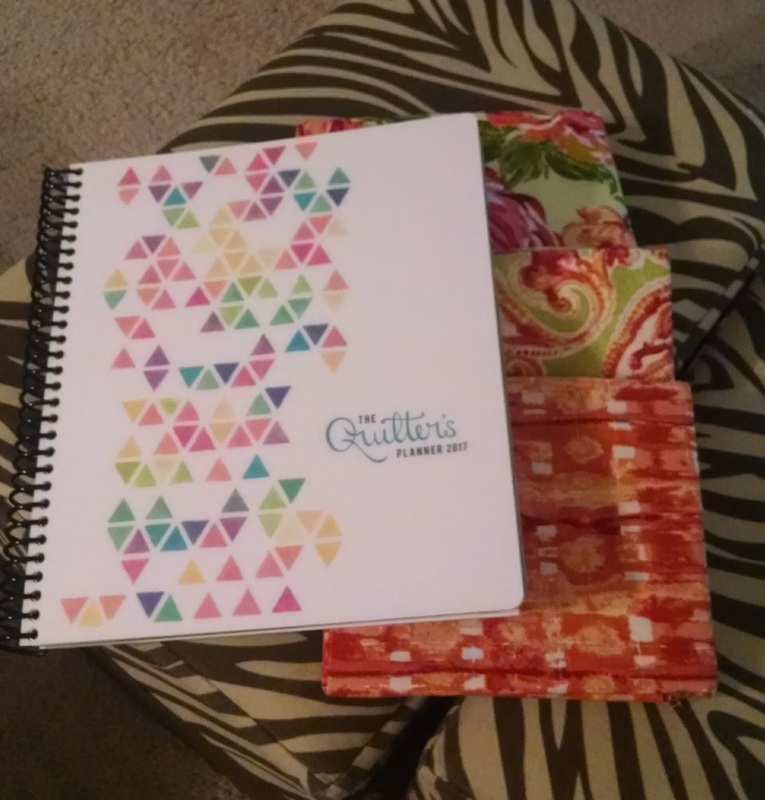 It wouldn't be a Sew In Love With Fabric Hop without a giveaway! 1. 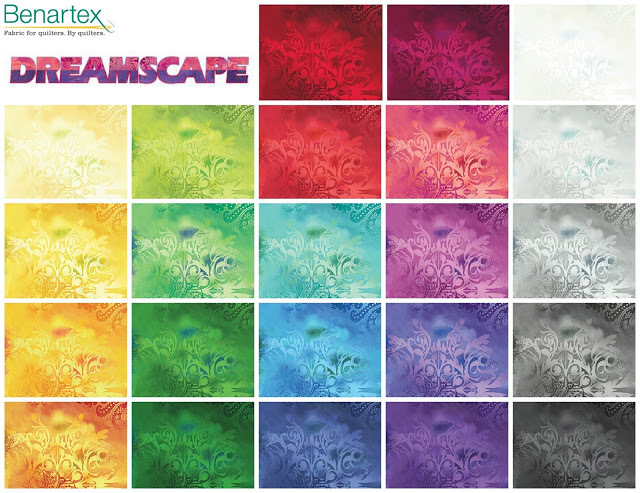 Leave a comment with your favorite Dreamscapes color. You can check out all of the colors here! 2. 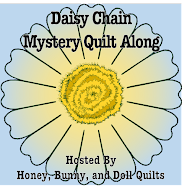 If you are a follower of Little Bunny Quilts, leave a second comment with how you follow. Don't forget to visit all of the other stops on the hop this week and next week! The givewaway is now closed! Congrats to our winner OhioLori! I got my Midnight Mystery quilt back from the long-arm quilter the last time my parents came to visit and just finished the binding. I had these fabrics in my stash for a few years and this mystery quilt was the perfect project for them! The large-scale dragonfly print shines and the navy background sets everything off well. I used the same teal fabric from the blocks as the binding. The backing is actually a navy sheet that is the same color navy as the Kona on the front. It makes the quilt oh-so-cuddly! The quilting is lines of quilting with four petaled flowers or flourishes (note quite a four-leaf clover, though). It is a true beauty! This ends up at 72 inches square and will be a great addition to my collection of throws. 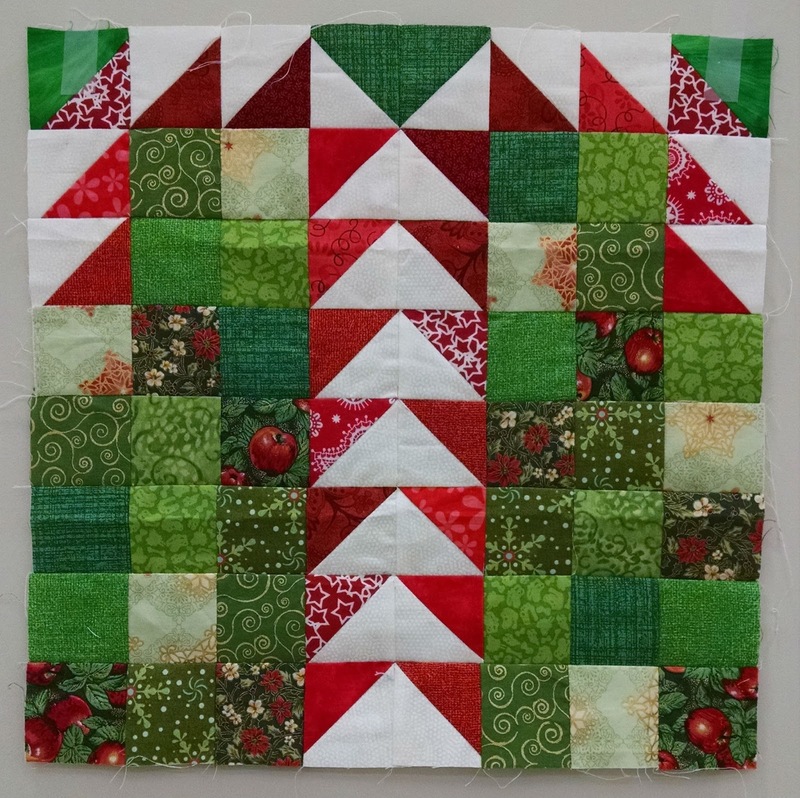 If you love the pattern, Cheryl still has it available on her blog! 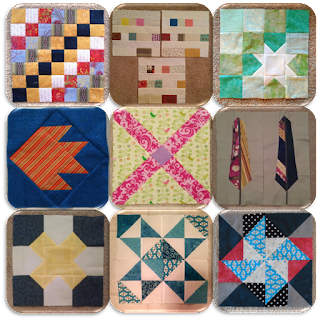 This month for the Meadow Mystery QAL, our assignments were flying geese and square in a square blocks. I was excited to finally use my pink Fabric A! As you might remember, both my Fabric A and my Fabric B are tonal stripes. I arranged my Fabric A triangles so that every unit is the same direction of the fabric print. I figured that this was going to be easier than trying to have some going up and down and some going side to side. My Fabric B in the flying geese is arranged half up and down and half side to side, but we will see how they arranged in the final quilt. I am hoping that we start making some more blocks next month. We still have some strips that we haven't used yet, as well as some squares, but I am anxious to start guessing how this will all come together! Since my husband was out of town from last Wednesday until today, that meant I had oodles of unadulterated sewing time (and binging Gilmore Girls.) I have lots of finished, almost-finished, and new things to show over the next few days, hooray! But, as a teaser, today is sneak peak day! First up, is my primary Little Firecracker quilt. 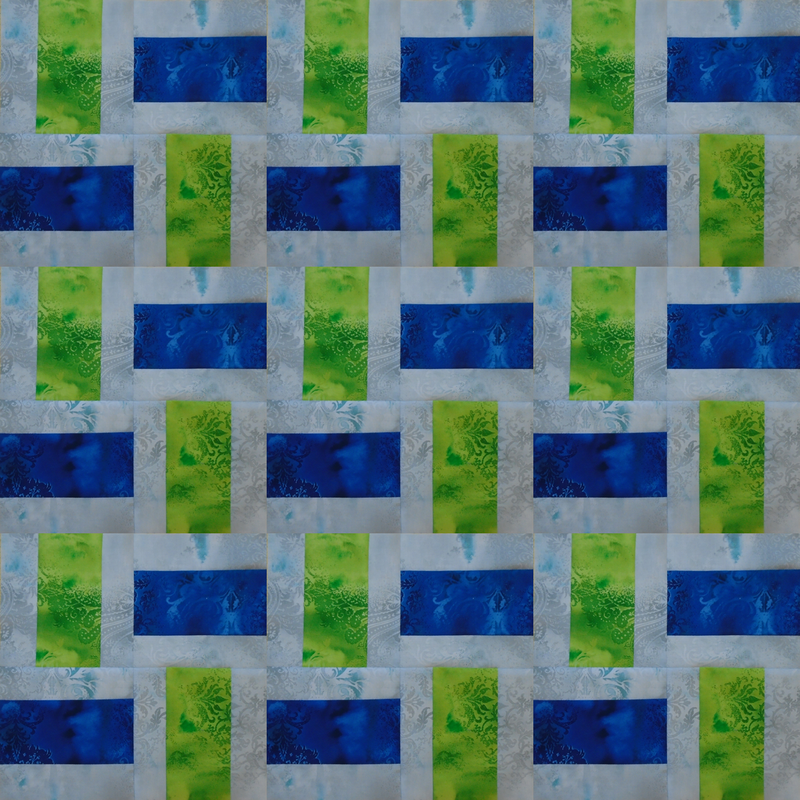 When last I posted about this quilt, I had just finished all of the blocks. And by "a while back" I mean April. 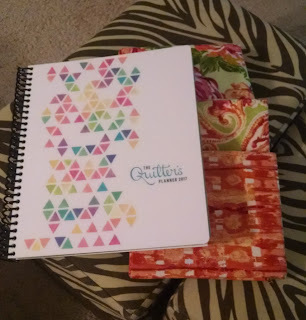 I need to up my organization -- good thing Santa might be bringing me a Quilter's Planner! 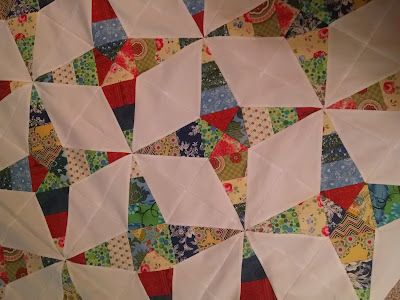 Since I want to try to get *BOTH* of my Little Firecracker quilts done by Thanksgiving (if not earlier!) getting both of them quilted was my big project for my solo retreat weekend. AND I SUCCEEDED! I'll be sharing all about my secondary Little Firecracker's progress in a separate post since I hardly took any pictures of that one in progress - it needs a little attention of its own! On the primary Little Firecracker quilt, I did a branching curl design. For the backing, I used a three yard cut of a large stripe border print in navy and green (a little traditional but matches the quilt perfectly) pieced with a pink and red leaf print on white. I strongly considered buying flannel for these quilts, but with the odd size (55 inches square) I would end up with a lot of backing waste so I opted to use older large cuts in my stash for both quilts. Pictures coming in the finished post! For the binding, I used a dot print with a dark red background with multi colored dots that coordinate with my quilt colors. I started hand stitching the binding to the back during the Walking Dead on Sunday night but didn't make a ton of progress. In other news, I am starting idea-gathering for a quilt along next year. If you have opinions and suggestions on what you would like to see or do in a quilt along here at Little Bunny Quilts, please share those in the comments! I love to hear what people are thinking! 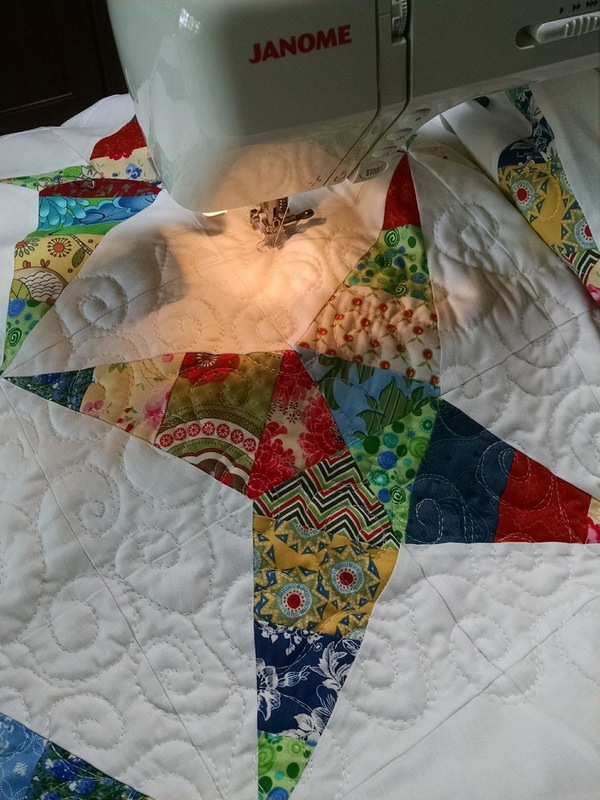 Sharing at Fabric Tuesday, Scraptastic Tuesday, and Needle and Thread Thursday! I've been finishing up the last handful of Rainbow Scrap Challenge blocks for my Farmer's Wife quilt. Since last I posted, I finished six more blocks in various colors. I only have two more blocks to go until I am completely finished! Hooray! These blocks will blend well with the blocks that I already made. I have to make the Wild Goose Chase and Wrench (Churn Dash) blocks and then I will be done! Next week I will have a full shot of all of my blocks and start working on setting and sashing my blocks. Hooray! I haven't done anything yet with my blocks, but I have a plan. It involves more blocks, but not pineapple blocks and I am excited to ask for those in next year's Stash Bee. But for now, it is a secret. As always, it is fun to use this as an experiment to try new blocks! I always thought that I wanted to make an AMH Feather Bed quilt at some point, but making two blocks has gotten that out of my system. My favorite blocks to make are always the scrappy ones! Don't forget to sign up for the 2017 edition of the Stash Bee! 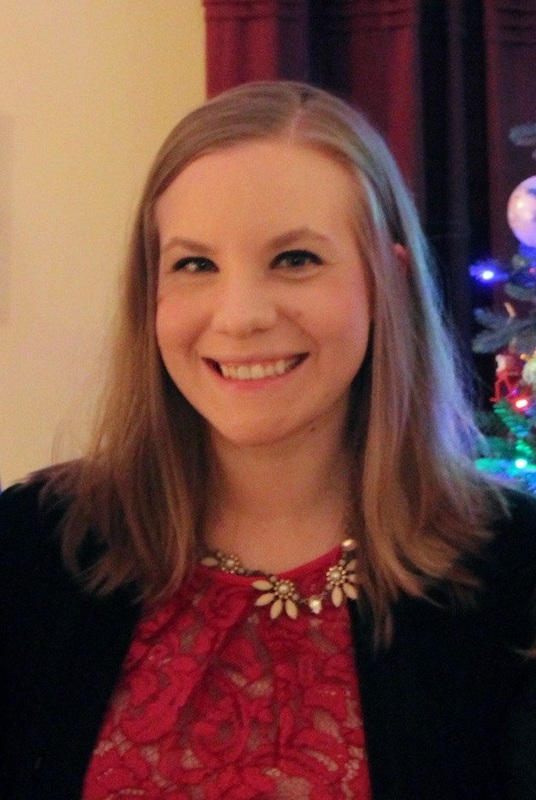 I am so excited to take a year as just a participant! Diana and the new Hive Mamas are awesome and I hope that lots of people sign up this year!